Description Can you survive the chilling dream that has been infested with falling numbers in this action-packed puzzle-platformer? Shoot green and red bolts to create colored block groups. 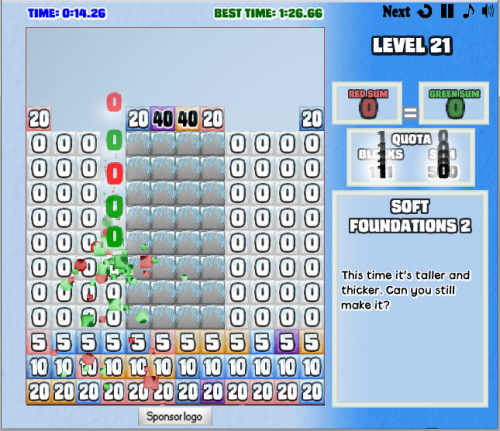 Match the sums of the groups to explode the blocks!